We’ll hit 200,000 total connects soon—but, how soon? 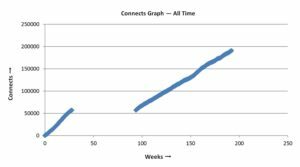 However, we have been connecting at a faster rate than that lately—9.747 connects/hour over the last 5 days (2018.12.23—2018.12.28)—which would put us even further ahead of ‘schedule,’ with us hitting 200k sometime on Sunday, January 6th, 2019. 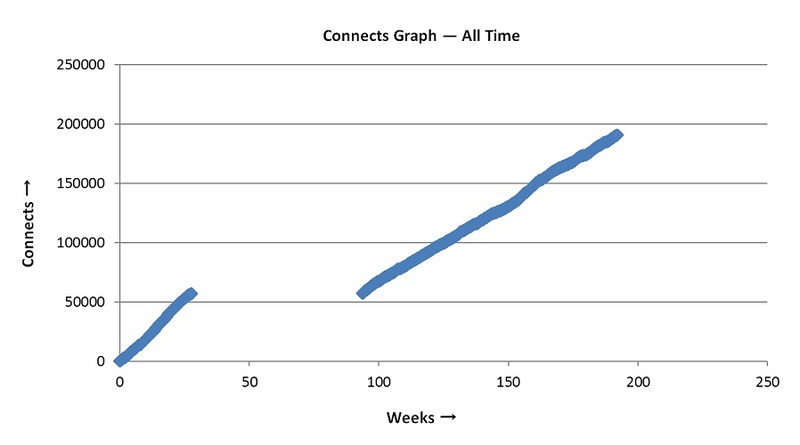 After getting to access Holly’s data (courtesy of our illustrious Foodbandlt), graphs and analysis of connects of the ‘historical archive’ became possible. 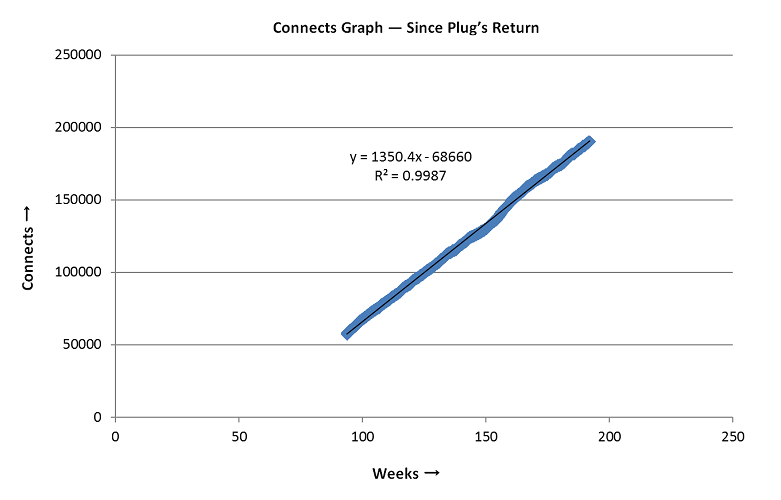 The large gap in the graph is from the period of time when Plug.dj was down. 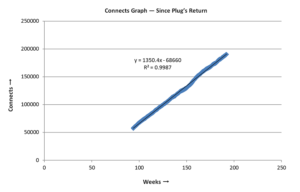 Using a straight line-of-best-fit, the weekly connect rate since then has been 1,350.4 connects/week—which translates to a rate of 8.04 connects/hour. Using this graph/rate, we’re projected to hit 200,000 connects in 1,176 hours from ‘now,’ on Friday, January 11th, 2019.